IIHR has decades of experience collaborating with major hydroelectric utilities in the Pacific Northwest to increase the survival of fish passing hydropower dams. 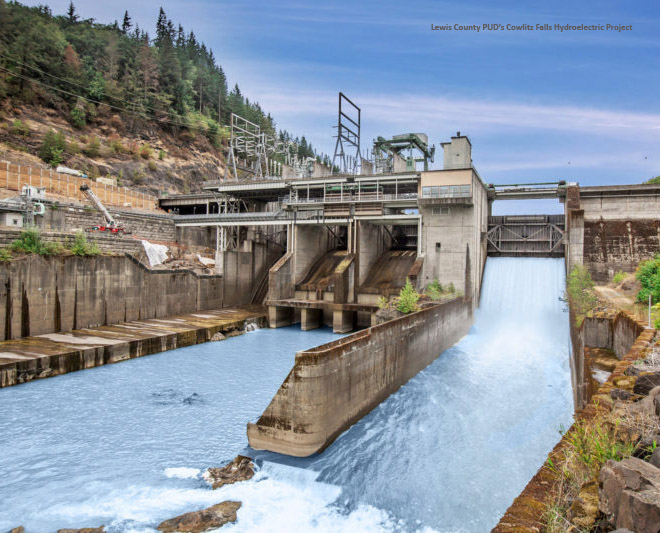 IIHR worked with Tacoma Power in the state of Washington to provide numerical modeling and analysis to improve the design of the fish collection structure at the Cowlitz Falls Dam, the uppermost of four hydroelectric dams on the river. In late spring and early summer, fish flumes at the dam collect fish and funnel them to a sorting facility downstream. Washington Fish and Wildlife staff tag and count the juvenile salmon, which are trucked downstream and released to continue their journey to the ocean. IIHR’s fully 3D numerical model was used to successfully predict the flow field. IIHR researchers ran more than 50 simulations for the project, modeling different configurations, flow rates, dam conditions, and more. Researchers also analyzed the results of the CFD modeling to help reduce the number of juvenile salmon that fall prey to the harsh environment within the hydroelectric turbines.